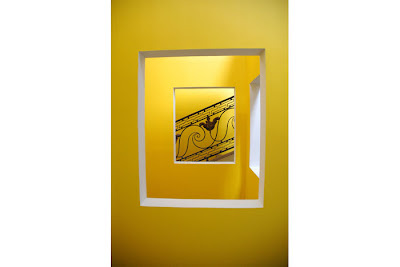 Here we got an interesting work by artist Krijin de Koning whose works are based on the idea of architecture and place. 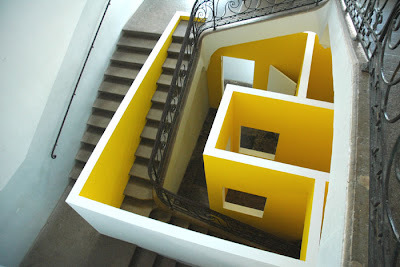 His often temporary installations cleverly change perception of the surroundings. 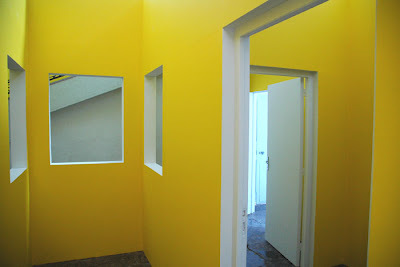 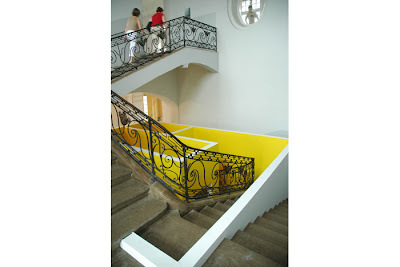 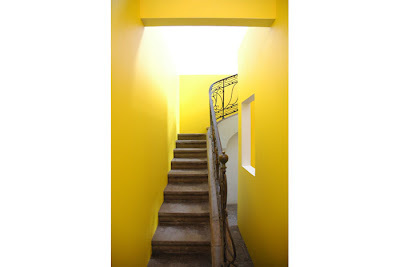 'A de Corbigny' (yellow), Corbigny (FR) site-specific work in 'le grand escalier' 5.84 x 4.80 x 3.60m.